A lot of people would love to experience hunting but don’t know where to start. If you are an outdoor enthusiast and haven’t tried to go on a hunting game before, this article will give you some ideas on how hunting for beginners can bring successful results. Gun vs. Bow: What’s the Best Weapon for Fallow Deer Hunting? Most hunters are armed with a bow or a rifle during fallow deer hunting. Both pose challenges and difficulties. A lot of hunters use both rifle and bow and usually, the choice depends on the hunter’s ability to hunt. This post presents a brief comparison between rifle and bow in order to assist hunters in using the right equipment for the best game hunt experience. Hunting is a sport that is enjoyed all over the world and a lot of people got hooked in this type of activity. There is a variety of ways to hunt and to be able to enjoy the adventure and get a good shot of your target, you also need to be familiar with the methods used by hunters. This article will let you in on the methods of hunting that are widely used all over the world. Some people may not believe it but there are still places in the world where hunting for exotic animals can be done legally. For many people, Africa is the first place that will come to their minds when it comes to exotic hunting. But it is important to note that apart from the African Safari, exotic hunting can also be done in other areas, and you might even be surprised to know that you are living close to an exotic hunting haven. 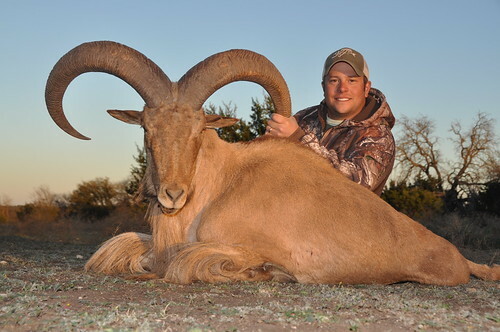 We would like congratulate Travis on harvesting this huge 37″ Aoudad. A true monster and he can hang is Aoudad sheep hunting hat up because I would say that be done with Aoudad. Lots of hours put in hunting him and it finally paid off with one well placed shot from his 270 WSM. Great job to both Travis and his guide Keith and Brad. 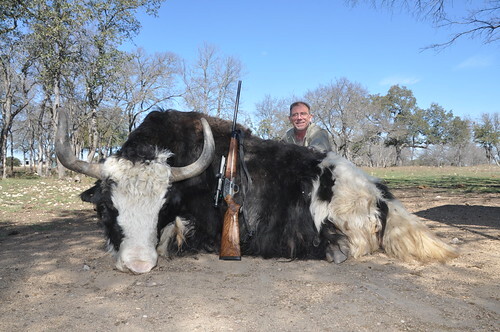 We would like to congratulate Mark on harvesting this huge Yak Bull. What a good way to test his .375 H&H before he goes to Africa. Lots of great meat for the freezer and a memorable hunt for the books. Yak hunting guided by Brad Draughon. We would like to congratulate Keith on his harvest of this huge Aoudad that measured 36″. One well placed shot and into the record books for this guy. Great job buddy. 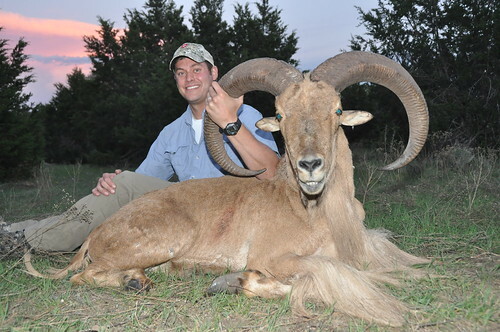 Aoudad sheep hunting guided by Brad Draughon.